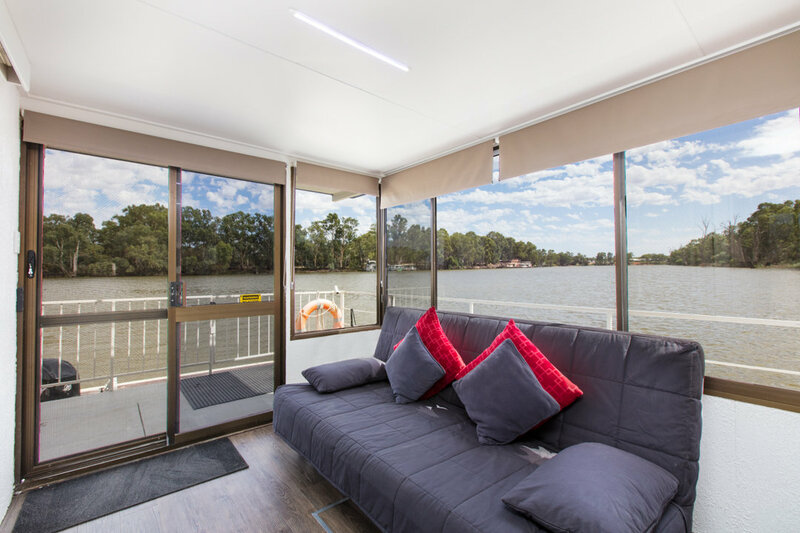 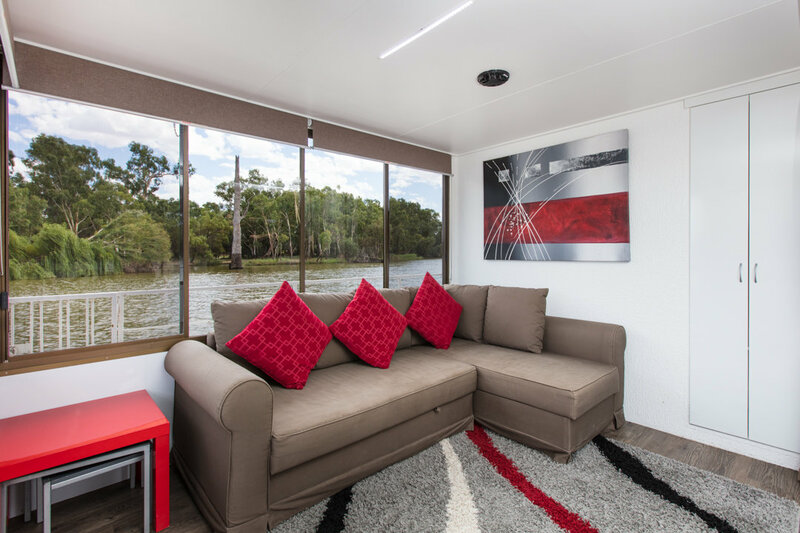 This family houseboat boasts a great sense of style and quality comfort, however it provides guests with a budget friendly option! 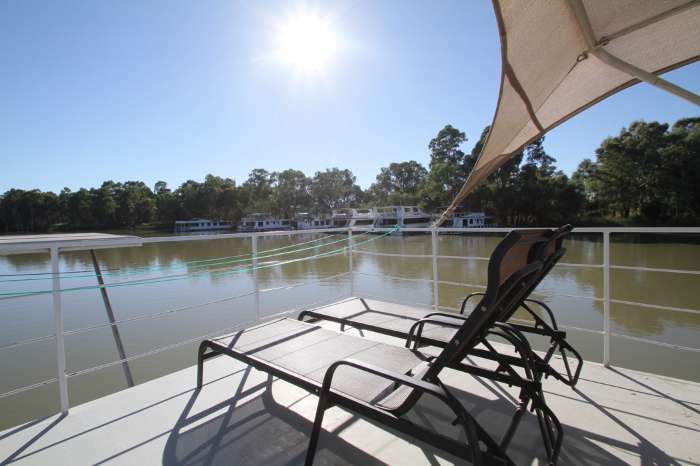 Perfect way to spend a weekend. 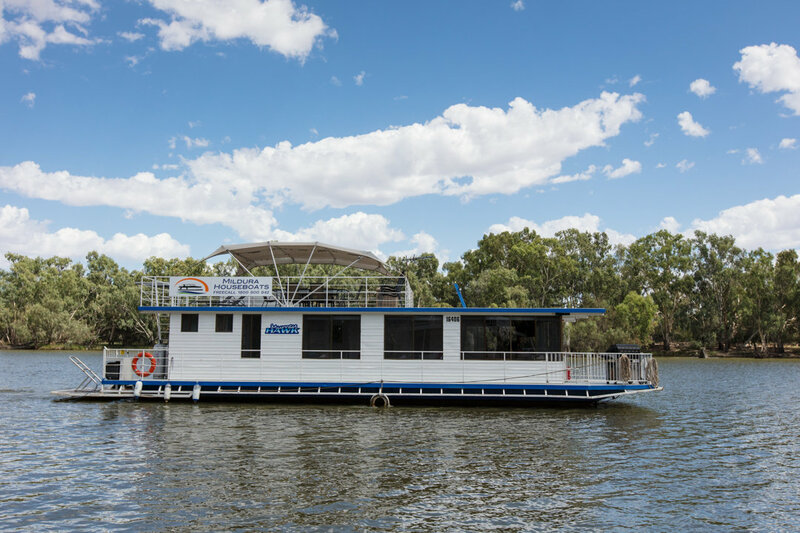 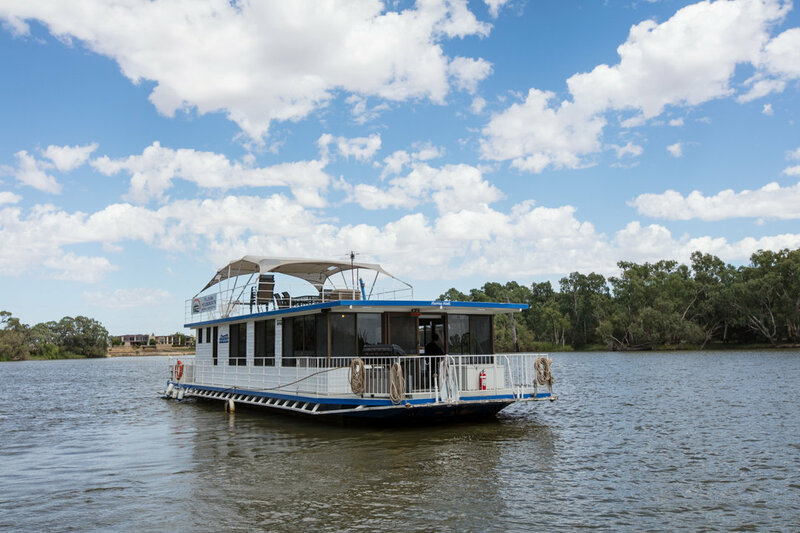 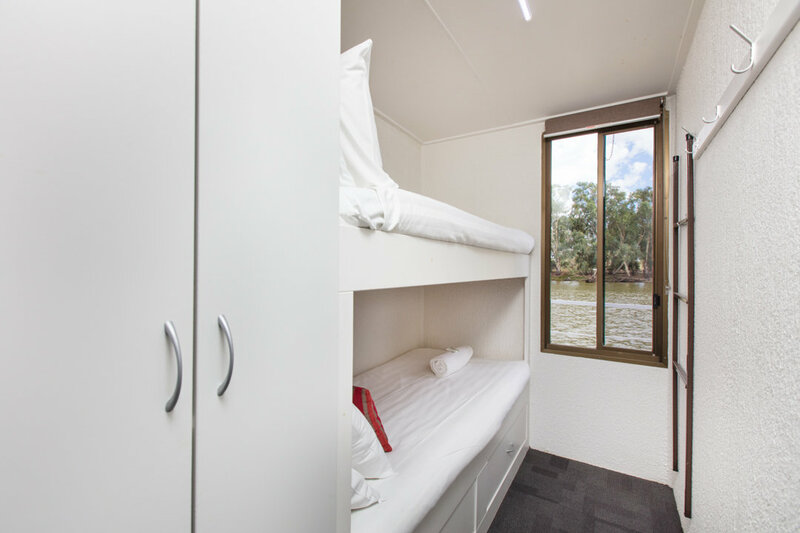 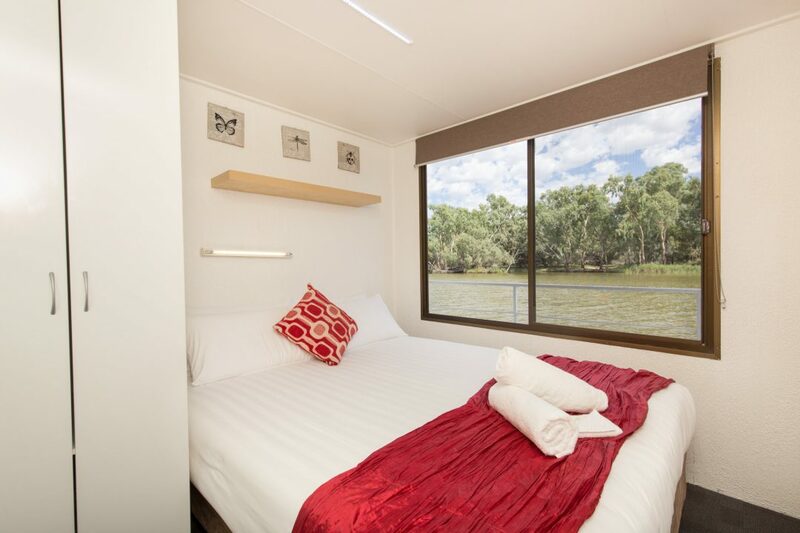 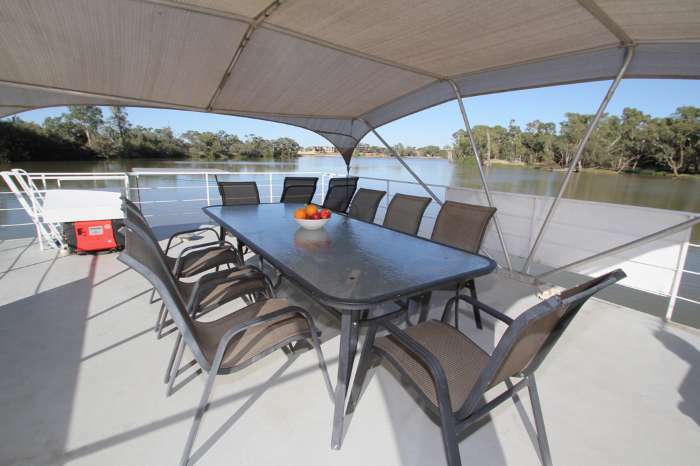 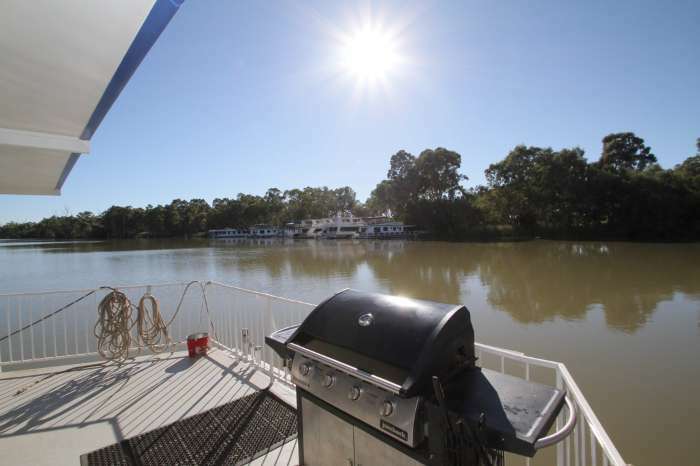 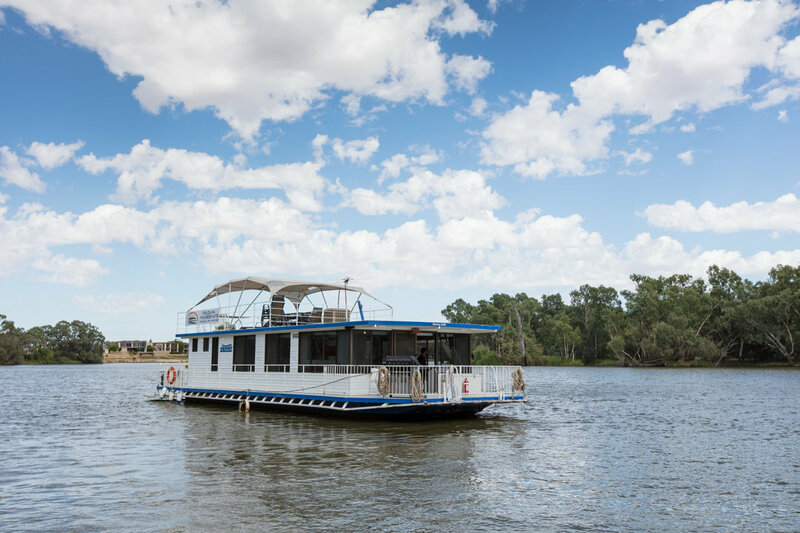 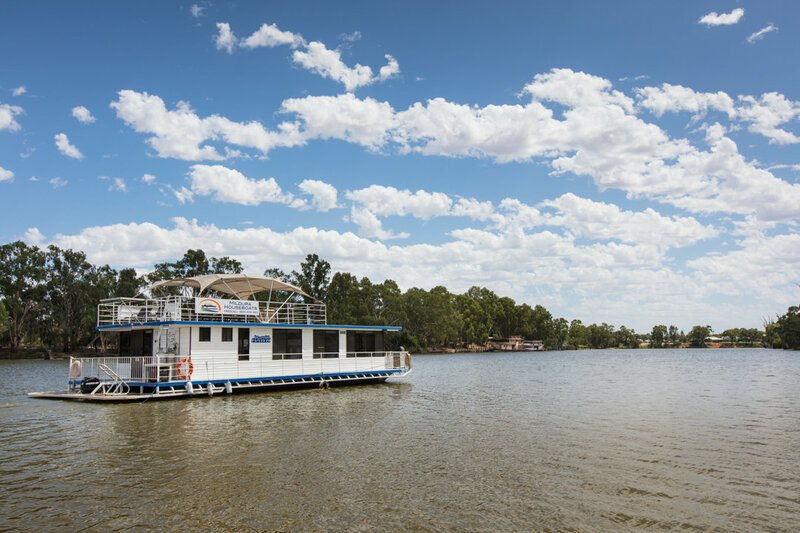 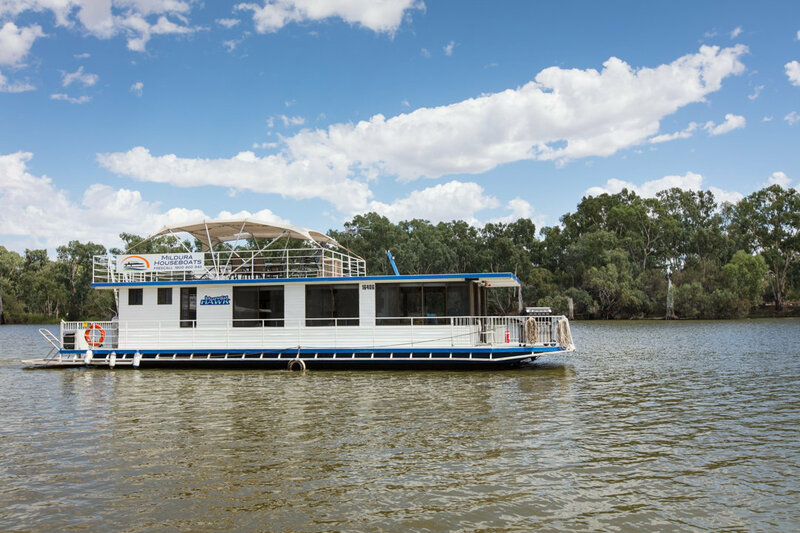 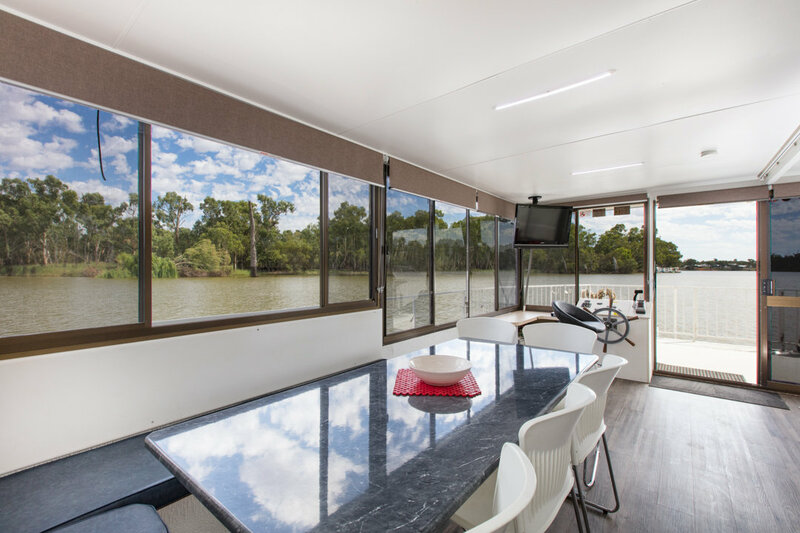 The Murray Hawk Houseboat is a fantastic houseboat for families or large groups. 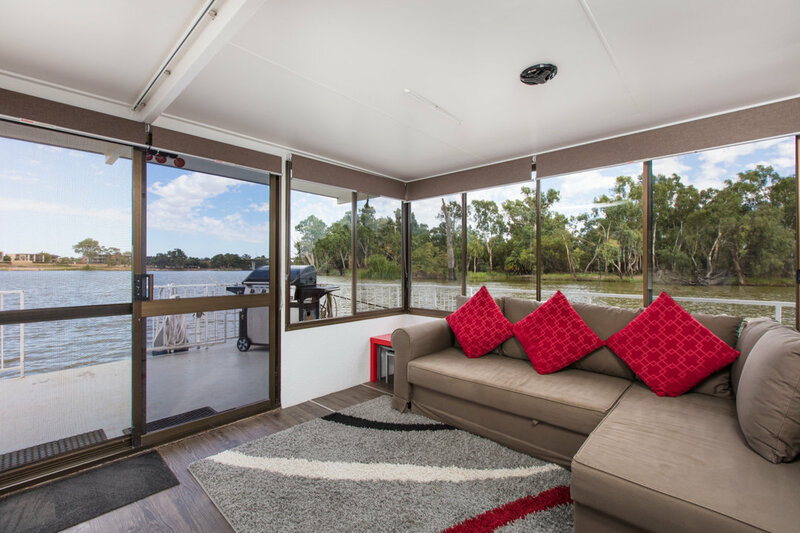 This houseboat is a 6-10 berth with an open plan layout. 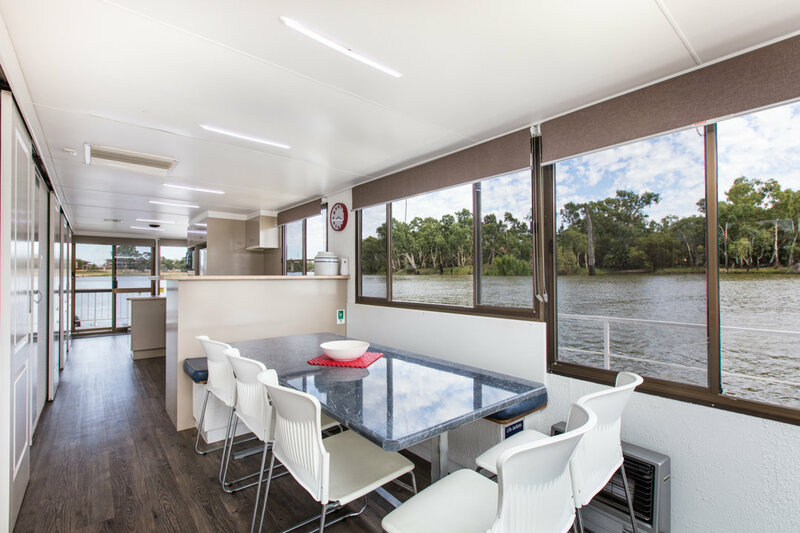 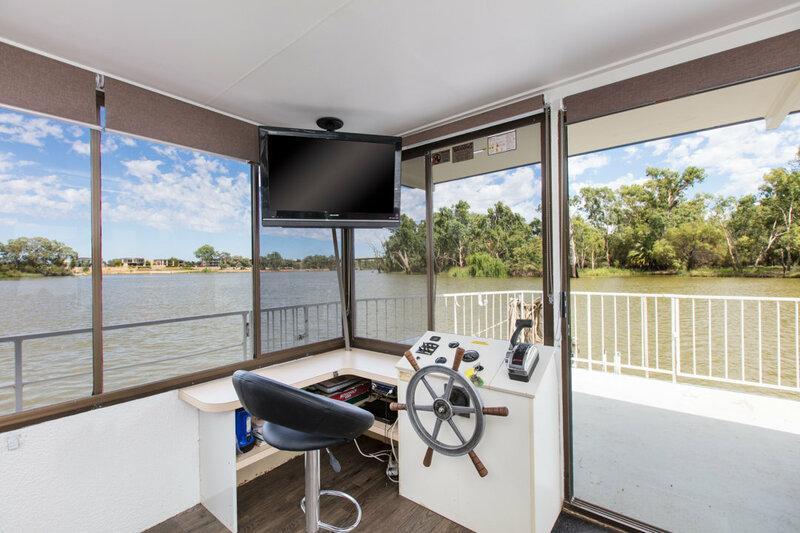 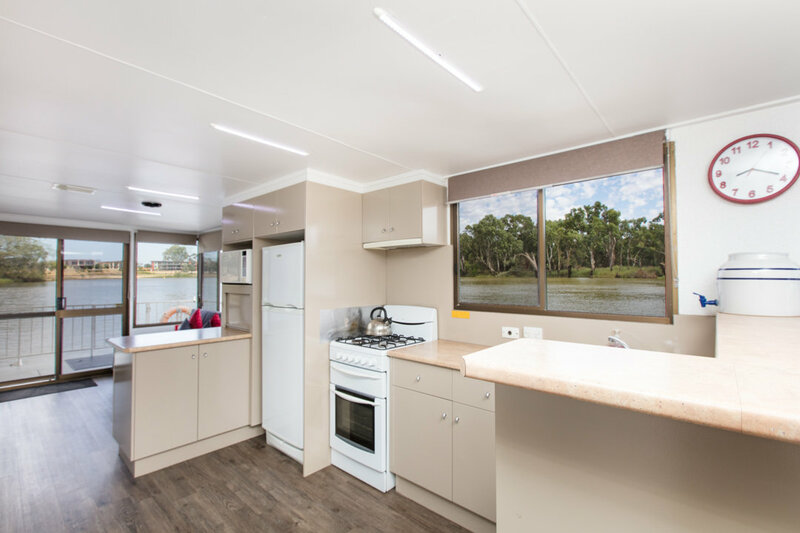 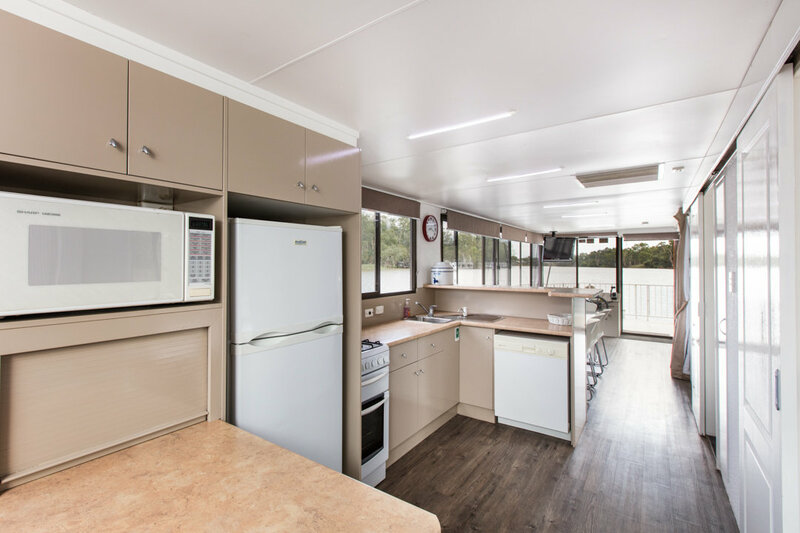 The Murray Hawk Houseboat is easy to drive and navigate. 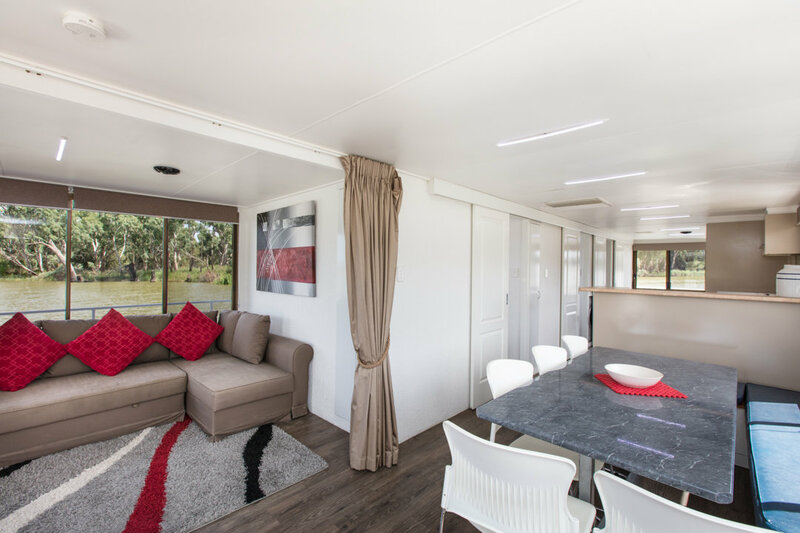 It was refurbished in July 2011 and boasts a great sense of style and quality comfort however it provides guests with a budget friendly option!